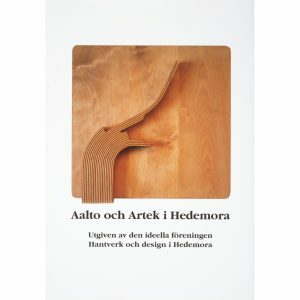 Volume 18 in a chronological series of monographs on buildings by Alvar Aalto. 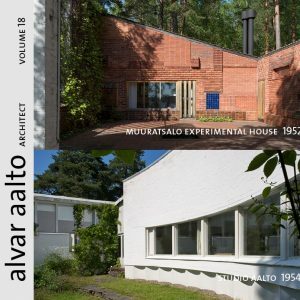 The latest volume in the book series Alvar Aalto Architect, presents two buildings from the 1950s, Muuratsalo Experimental House and Studio Aalto, which are linked to both the architect’s work and leisure. Studio Aalto (1954-55, 1962-63) in Munkkiniemi, Helsinki, served as the architect’s office, and was the main stage for his productive international career. 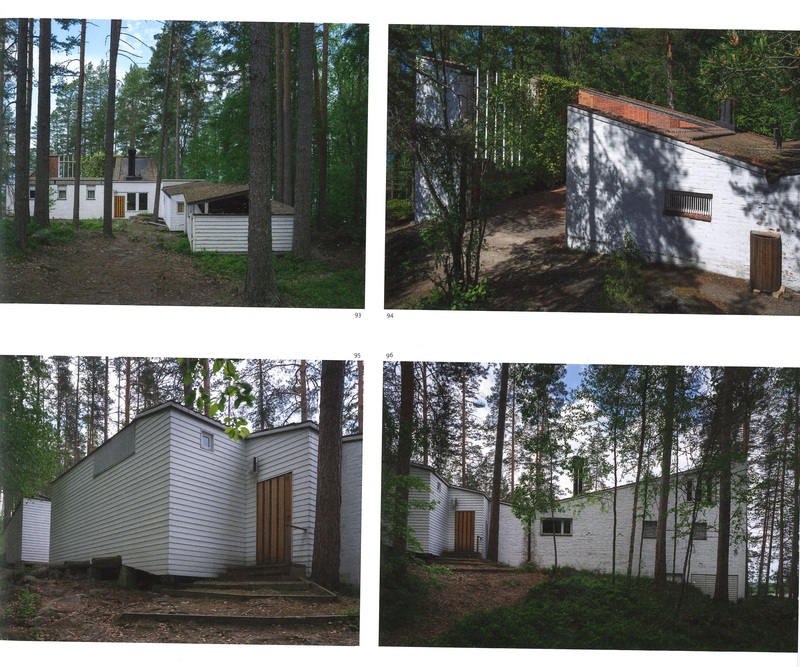 Aalto also enjoyed spending time in the Muuratsalo Experimental House (1952-54) built on the island of Päijänne as a counterbalance to his work. Alvar Aalto and his architect wife Elissa jointly designed a small-scale, intimate summer residence – an experimental house – on the beautiful island of Muuratsalo in Central Finland. The place and its natural beauty gave Aalto a chance to make architectural experiments, as well as painting in oils, far away from the bustle of everyday life. 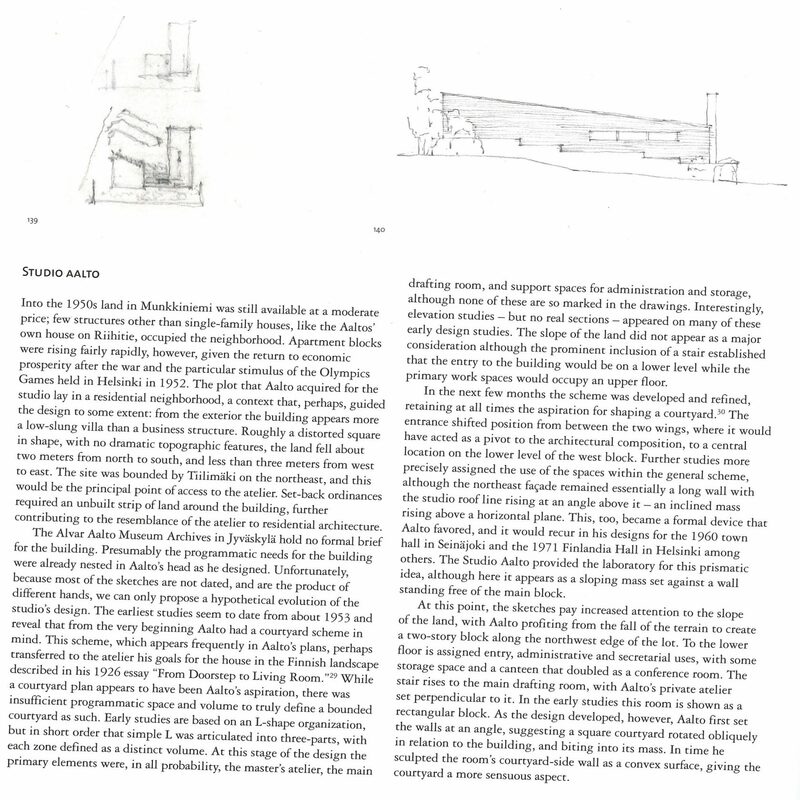 The architect Juhani Pallasmaa’s article “The Experimental House, sauna and boat: The Art of play” presents the design and execution of the building and grounds. Elissa and Alvar Aalto dreamed of reshaping the rugged, rocky surroundings of the summer residence into a lush, flourishing garden. In her text “Garden aspirations in the Experimental House” Mia Hipeli, MA, writes about the landscape plan drawn up by garden architect Paul Olsson, its implementation, and the garden’s current state overrun by nature. Studio Aalto was completed in Munkkiniemi in Helsinki in 1954, close to Aalto’s own home (1935–36), which had previously housed both the family’s residential areas and the architect’s office. 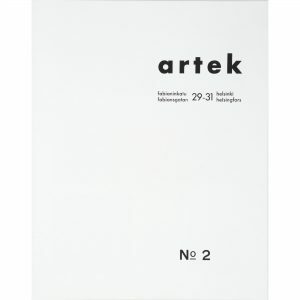 In his article “Studio Aalto: Drawing on the White Table”, Professor Emeritus Marc Treib, M. 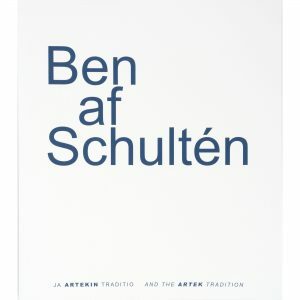 Arch., sheds light on the history of the architect’s office, as well as the design, construction and working methods of Aalto’s office. The architect Harry Charrington, PhD, worked in Aalto’s architect’s office as a newly graduated architect under Elissa Aalto’s leadership after the maestro’s death. 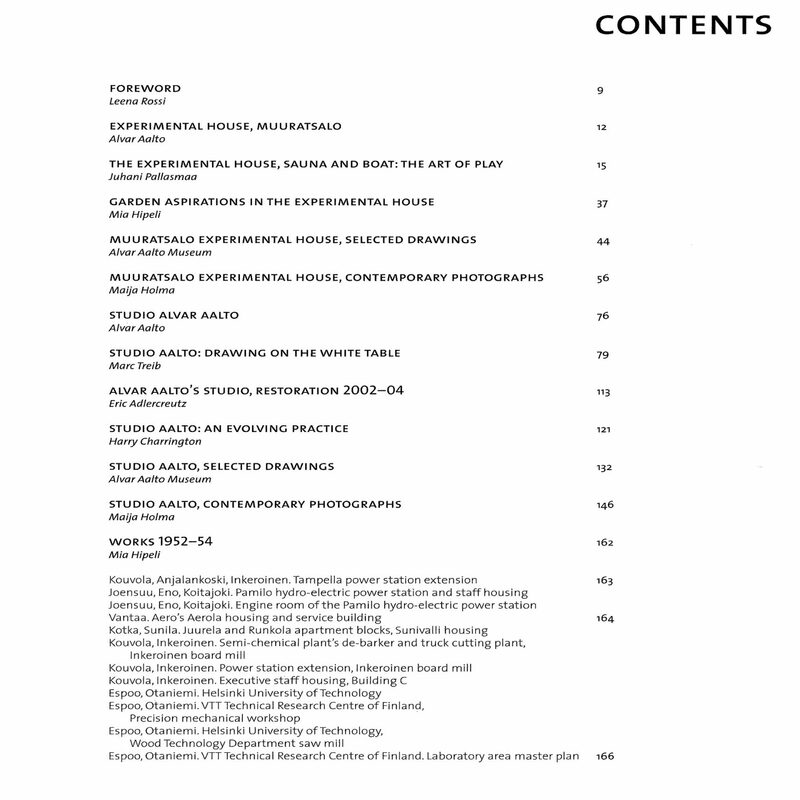 In “Studio Aalto: an evolving practice Charrington” he paints a picture of the atmosphere and work of the office before its closure in 1994. Meanwhile, in “Alvar Aalto’s Studio, restoration 2002–2004” the architect Eric Adlercreutz recounts the meticulous, conservative total renovation of the building, illustrated by the updated drawings. 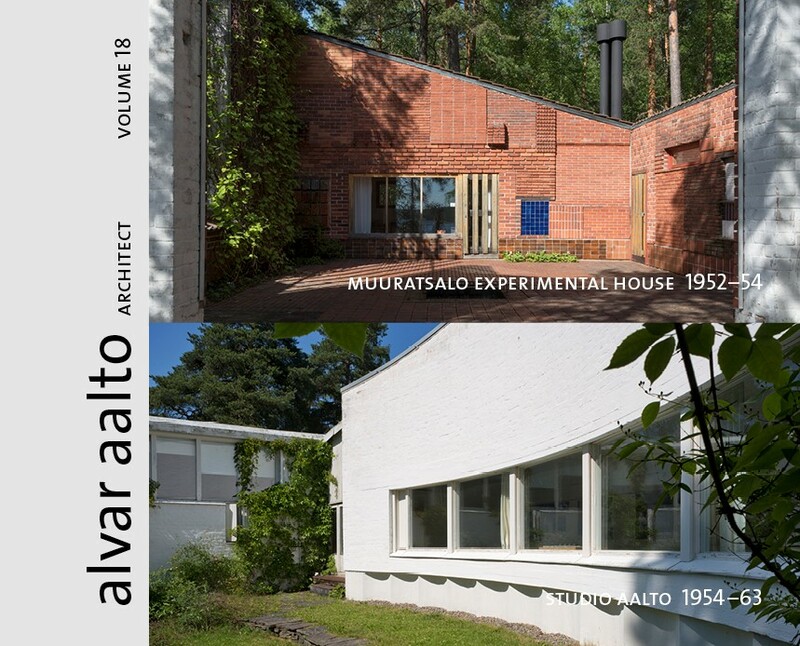 The Selected drawings section contains sketches drawn during the designing years, while Contemporary photographs presents the Muuratsalo Experimental House and Studio Aalto through the eyes of today’s photographers.